Looking too much like the competition? If a person has a distinct identity, shouldn't a company? In markets crowded with too many 'me-too' companies, we'll help you capitalize on your brand, website, and communications, playing up what's unique for an indelible imprint. We help define and design the components of a company’s brand from logos and taglines to full identity packages for digital and print. It doesn’t take long for a website to become outdated, creating a disconnect that tells the wrong story. We make it easy to update and replace old and stale information and imagery with fresh design, graphics, and content. The result? 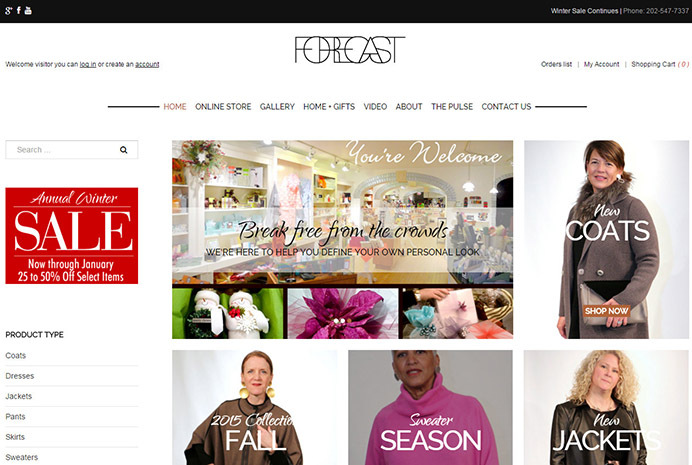 Aesthetic, user-friendly web experiences that engage and deliver what visitors seek. And because websites are platforms to publish and promote from, we build them with easy-to-use content management systems, such as Joomla, so they can be kept current without technical know-how. The digital world is increasingly visual. As key ingredients of the content strategy, we capture and cover company events, shoot executive headshots, retail products and fashion, and create short videos, including demos and interviews. Done well, email can be permission marketing at its best, helping nurture and convert audiences. We can handle any or all of the design, layout, and content. "Atlantic had grown to be one of the top 10 developers in the region, yet our website didn't reflect our stature. From the initial brand evaluation and repositioning strategy through the site architecture, design, and content, DCPR’s team created an outstanding web platform for Atlantic. They were right on the mark." Some of our web work . 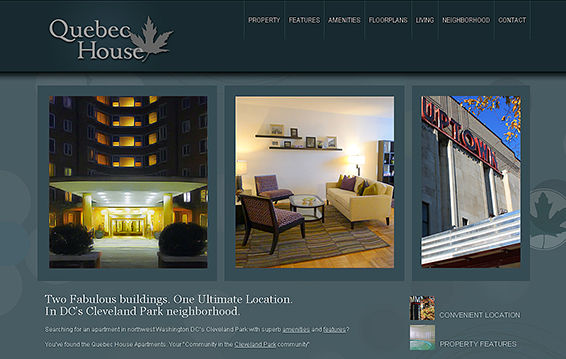 . .
Redeveloped website for flagship residential complex. Featuring new design, content, and custom photography, with matching 8-page brochure. Sometimes only a birds-eye view can do justice to hundreds of acres of rolling countryside. 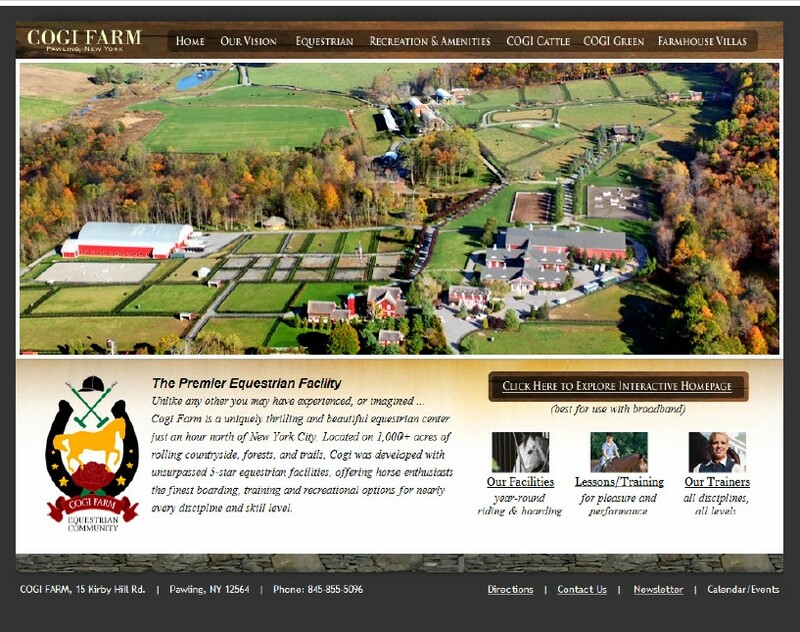 This site features a fly-over interactive panorama that dives down into rich, detailed imagery of this 5-star facility. The award-winning design conveys refined, yet rustic elegance. Visual showcase for brick & mortar retailer, with variety of galleries, ecommerce, promotions and video. Part of email, web, and social marketing platform. The site is built on Joomla, an easy-to-use content management system. 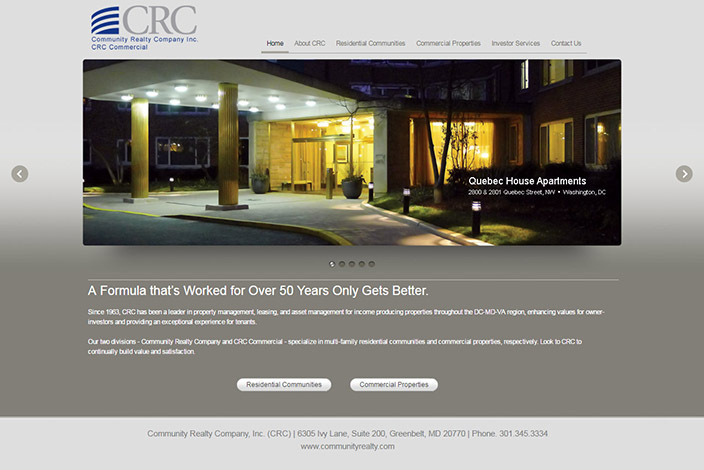 Featuring a clean new design, this website showcases the commercial and residential portfolios for CRC, with improved search and display for properties.